The health world just cannot stop raving about kombucha… But does the kombucha hype deserve all its glory? Supportive evidence actually suggests so! 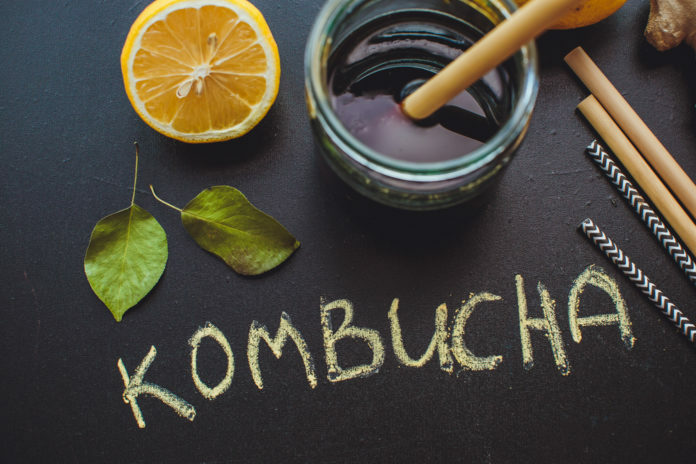 Pronouced kawm-boo-chah, kombucha is “a live culture of multiple species of yeast and bacteria grown to make a mildly alcoholic fermented beverage.” (Or really just a concoction of bacteria, tea, and sugar.) A “kombucha mushroom” or SCOBY (Symbiotic Culture of Bacteria and Yeast) is crucial for differentiating kombucha from standard teas, along with providing its touted health benefits and distinct taste. 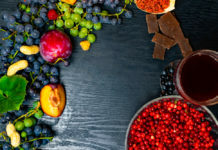 Flavor can actually vary based on the duration of fermentation, as shorter fermentation offers a sweeter, more mild taste compared to longer fermented kombucha that provides a stronger, bolder vinegar taste. Additionally, kombucha can also be enhanced with various juices, fruits, chia seeds, extracts, and spices and herbs. Nonetheless, a general 8 fluid ounce serving of kombucha ranges from 30 to 80 calories and offers 20 to 25 percent daily needs of folic acid and several B vitamins. Kombucha also supplies probiotics, antioxidants, and trace amounts of alcohol due to the fermentation process it undergoes. Amidst the hope from kombucha-newbies and certainty from kombucha-lovers, there actually is evidence supporting the consumption of the probiotic drink. One of the most recognized favored and explored benefits of kombucha relates to gut health, particularly related to its probiotic content. Probiotics are a type of “good” live bacteria with evidence supporting its use in treating diarrhea and irritable bowel syndrome. Probiotics may also prevent foodborne illnesses by inhibiting Salmonella and Helicobacter pylori, along with ensuring food safety and prolonging shelf-life. While a significant metabolic boost is considerably unlikely, kombucha’s vitamin B and caffeine contents are attributable to energy production and boosts. B vitamins play an important role in turning the foods we eat into usable energy within the body, while caffeine content may also offer a natural energy boost. First off, kombucha should not be approached as a magic weight loss elixir. However, nutrient-dense kombucha is certainly a preferred drink of choice compared to sugary soft drinks. Nonetheless, its B vitamins help facilitate energy metabolism and the probiotics can result to improved gut health, with some research suggesting when probiotics (the “good” bacteria) are present, there may be a beneficial shift in the gut microbiome and contributes to weight loss and maintenance. Thanks to its probiotics once again, kombucha may fight against harmful bacteria and strengthen the immune system. With probiotics acting as “good” bacteria, they may help kill of the “bad” bacteria responsible for infections. While the roles of probiotics are often specific to the gastrointestinal tract, they may also play a role in mental health. After a systematic review of 10 studies, researchers found probiotics may be helpful in alleviating depressive symptoms, including mood, anxiety, and cognition. Kombucha is rich in antioxidants and be helpful in reducing the risk of chronic diseases. In fact, kombucha has shown to lower both triglyceride and cholesterol levels, which may lower the risk heart disease. Antioxidants have also shown to protect against cell damage, which may be significant in deterring against numerous forms of cancer. While kombucha is generally considered to be safe, health experts encourage consumers to be mindful of the packaging, ingredients, sugar, and alcohol content when purchasing it. Some of the kombucha products may present with a higher alcohol content than others which requires the attention for children, pregnant and lactating women, and seniors. Alcohol content can also interfere with a number of medications, so be sure to check with your primary care provider or pharmacist before chugging down kombucha. But all-in-all, kombucha can be a unique, healthful beverage added to your diet! 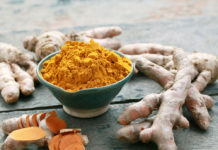 A Complete Guide: Can Curcumin in Turmeric Help With All Things Related to Health? A Gluten Free Diet: How Can You Benefit?